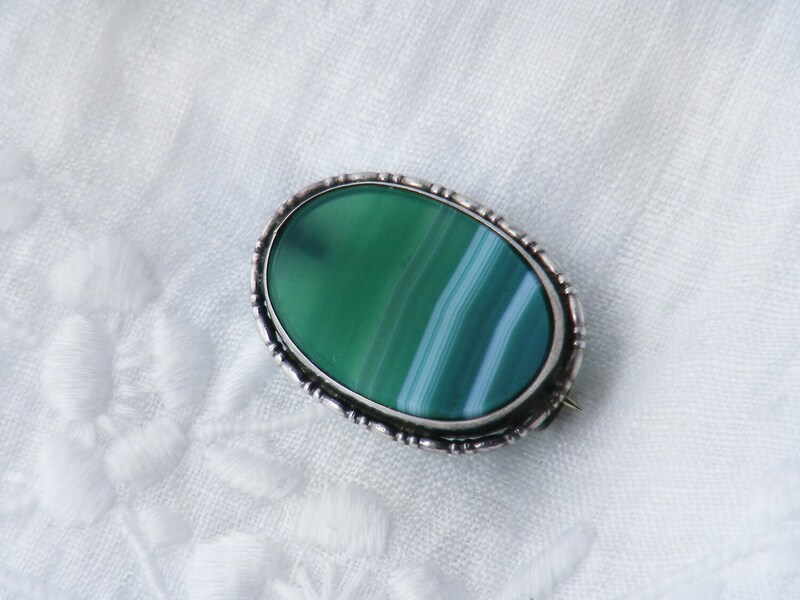 An elegant little oval brooch from the Edwardian era; the petite pin is simple and very beautiful with all emphasis on the rich wonderful jade green stripes of the inset stone. 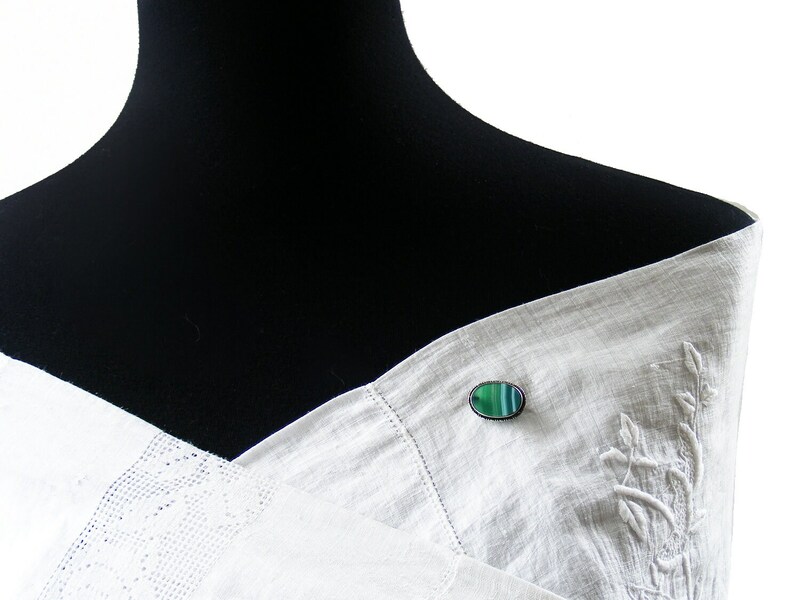 The perfect little pop of color for a lapel. Sterling silver, stamped 'SILVER' to the spiral C-clasp. 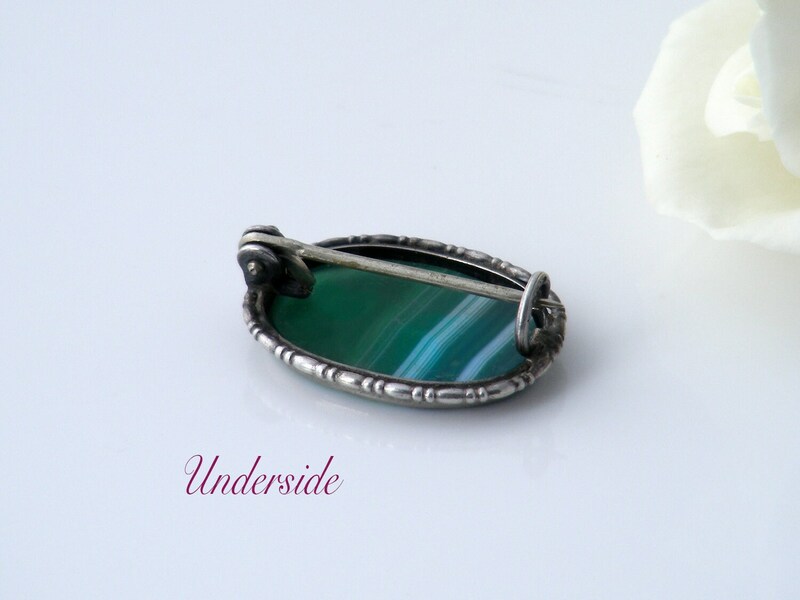 Banded agate in shades of emerald, jade and white. The stone is opaque at the lighter striped end and translucent at the deeper green end. 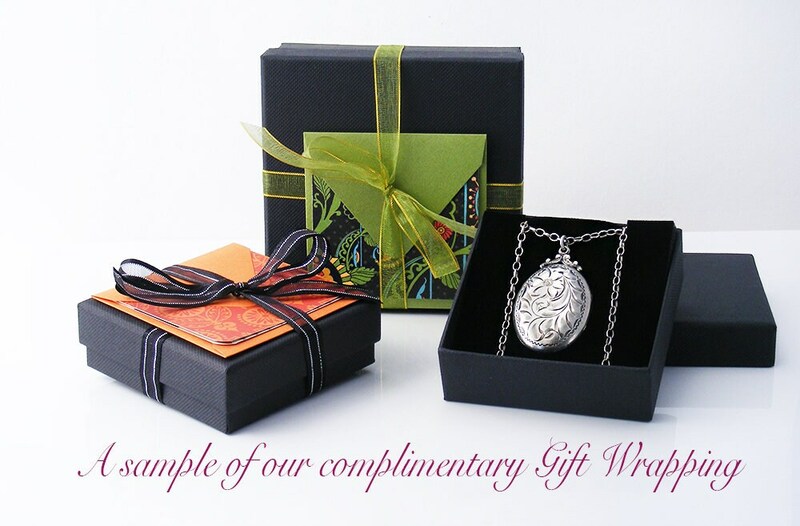 Size: 20 x 15mm or .8 x .6 inches and approximately 2mm in thickness. Shown on a life size torso in image #2. Excellent. No issues to report. 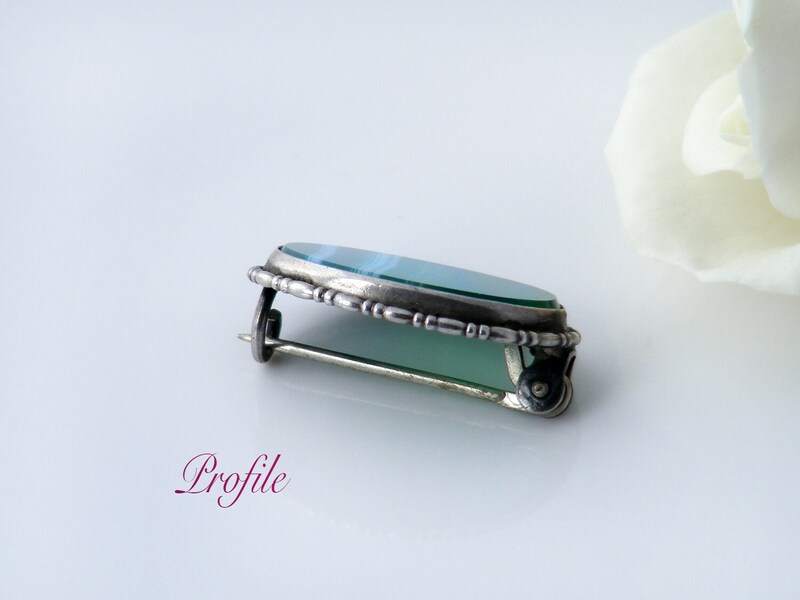 No chips to the stone, nice patina to the silver, the pin is very sharp and the brooch pins securely. 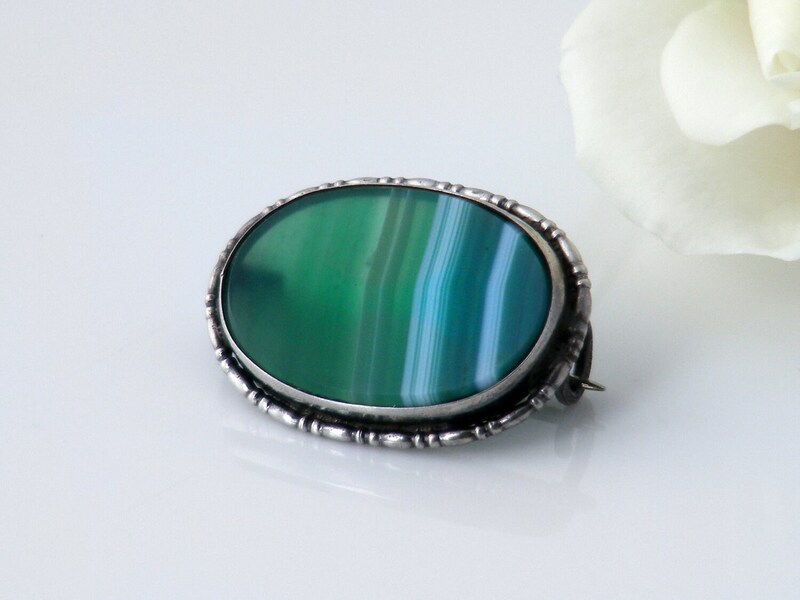 The perfect pin for a scarf, beautiful to add a pop of color to an outfit. Tasteful and lovely.